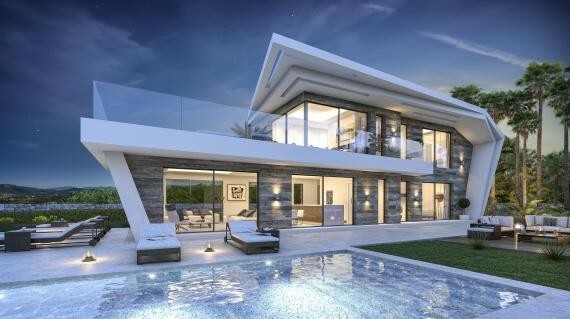 This spectacular 205 m² and unique design Villa will be built in an exquisite 1000m2 plot, enjoying an excellent location in the urbanization Monte Olimpo, just 8 minutes drive from the beach, the town and all the commercial area of ​​the resort town of Javea, Alicante. The villa is spread over 2 floors with 4 comfortable en suite bedrooms, a spacious living room with direct access to the fully equipped kitchen of Italian design. The property has a large terrace with fantastic views and an infinity pool creating a perfect place to relax and enjoy. 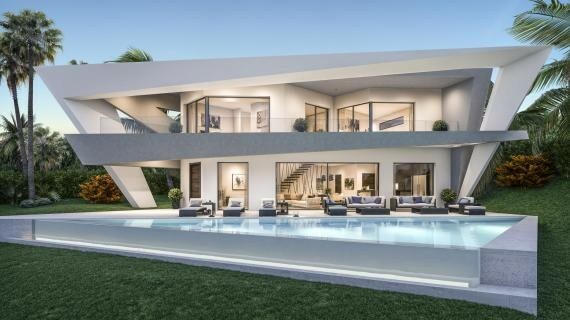 The house is designed with high quality standards, using the best materials quality Porcelanosa finishes. 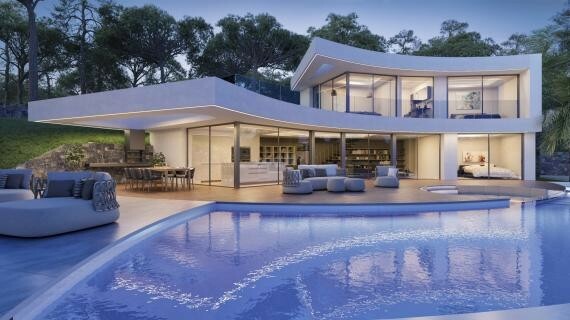 The house has home automation system with integrated control, automated blinds, underfloor heating, air conditioning and carpentry with double glazing to guarantee the comfort of the home. And to ensure your safety, an interior alarm system and access control is installed. From this property you will be able to enjoy panoramic landscapes and a lovely sea view.